Well I was able to get my computer fixed and now it is running great (Yippie!!!)! So Monday I will feature August’s MOM. Until then here is a great recipe that is an easy, cheesy and family pleasin’ side dish (make it before all that summer zucchini is gone) that is a personal favorite of mine. tomatoes and allow to simmer over low heat. Pour sauce over vegetable mixture and toss to combine. Season as needed with salt and pepper. 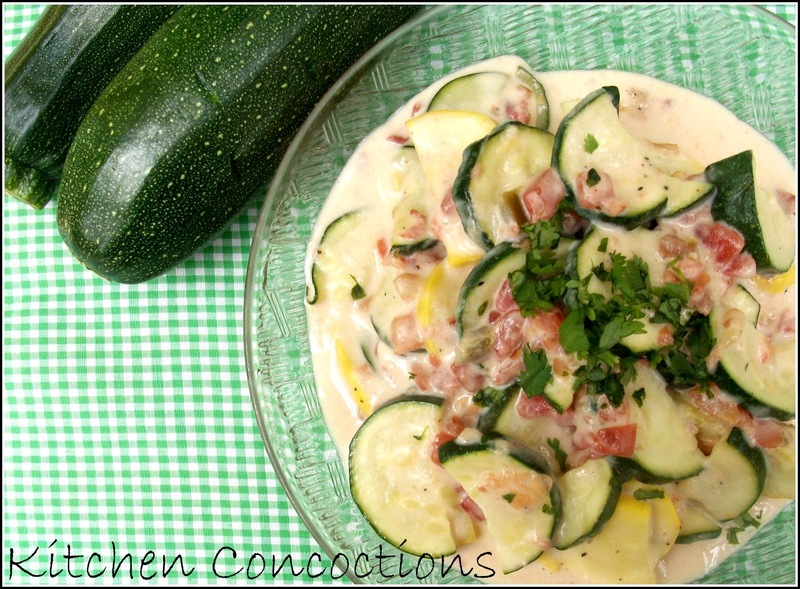 I still have a ton of zucchini, and this recipe looks wonderful!